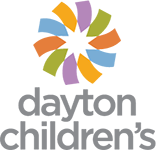 Join us for the Crossroads 5K on June 8th at the Vandalia Recreation Center. Enjoy a fast, family friendly, fun 5K and a 1 Mile Kids Fun Run. Excellent selection of post-race food including Bill’s Donuts, Clif Bars, and more! Portion of race entry supports the Vandalia Recreation Fund to help underprivileged children have more access to athletics! One step closer to earning the coveted fourth medal in the Miami Valley Race Series! 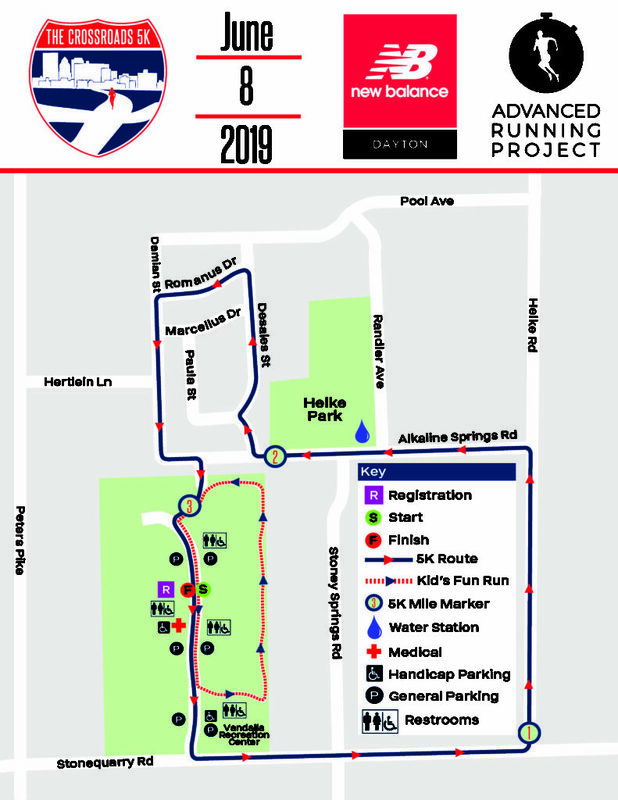 What events will the 2019 Crossroads 5K presented by New Balance Dayton offer? What is the age limit on the 1 Mile Kid's Run presented by Dayton Children's Hospital? The Crossroads 5K is comprised of a 5K and one mile kid’s run. All events will take place on Saturday June 8th, 2019. Kid’s Race – 7:30 a.m.
One step closer to earning the coveted fourth medal in the Miami Valley Road Race Series! While there is no firm age maximum, we generally encourage children over the age of 12 to participate in the 5K. 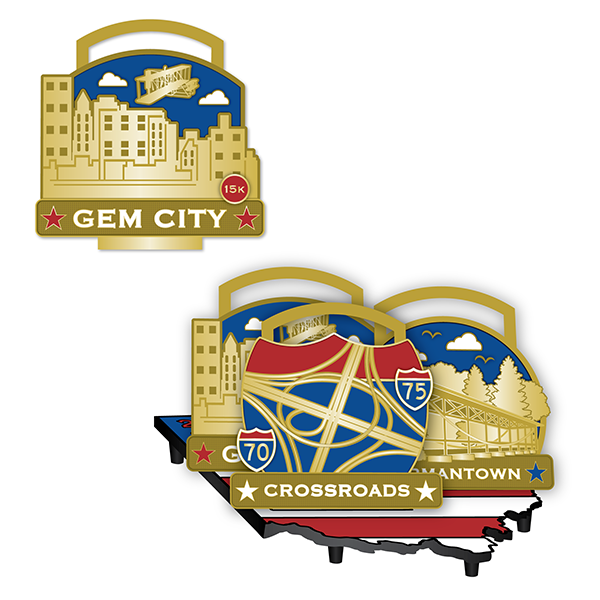 The series is comprised of three races including the Crossroads 5K on June 8th in Vandalia, the Historic Germantown 8K on August 3rd in Germantown, and the Gem City Classic 15K and 5K on October 12th in downtown Dayton. 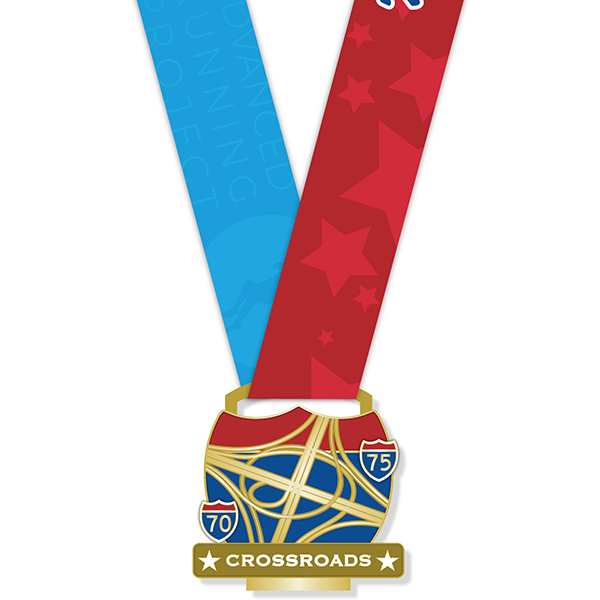 Runners who complete all three races in the series will earn a fourth medal that connects to the first three medals to create one beautiful award! No there are not. However we intend to tabulate total times for all who completed the series after the final race and will have those in the results. All events are walker-friendly. With a 8:00 a.m. start, the 5K course has a maximum course time of 1 hour or until 9:00 a.m. Any runner/walker that fails to maintain the minimum pace will be asked to move onto the sidewalks to facilitate opening the roads on time. The Finish Line will officially close at 9:00 a.m. Absolutely! One can register at Packet Pickup from 6:30 a.m. to 750 a.m. on Saturday the 8th of June at the softball fields located at the Vandalia Recreation Center in Vandalia, Ohio. On average, at 8 AM in early June one should expect humid conditions and a temperature in the low to high 60s. However these are merely averages and weather can change any given day. We will update participants on what to expect in the 48 hour window before the race. This USATF certified 5K is a fast one. The race begins inside the sports complex before heading out onto the roads, all the miles are pancake flat and make a large loop such that runners finish heading the way they started. If you come to the start line in top form, you can definitely beat your personal bests on this course! Yes! As the course passes Helke Park at 1.8 miles there will be a water station. Make sure to thank the volunteers for spending their Saturday morning helping with the event! The award ceremony will take place at approximately 9:00 a.m. The race has partnered with the Vandalia Recreation Fun, a local charity working to give more opportunities in athletics to those without the resources and access to those opportunities. The Advanced Running Project will be presenting the Vandalia Recreation Fund with a portion of the race proceeds and we encourage all our participants to donate and raise extra money for this noble cause!